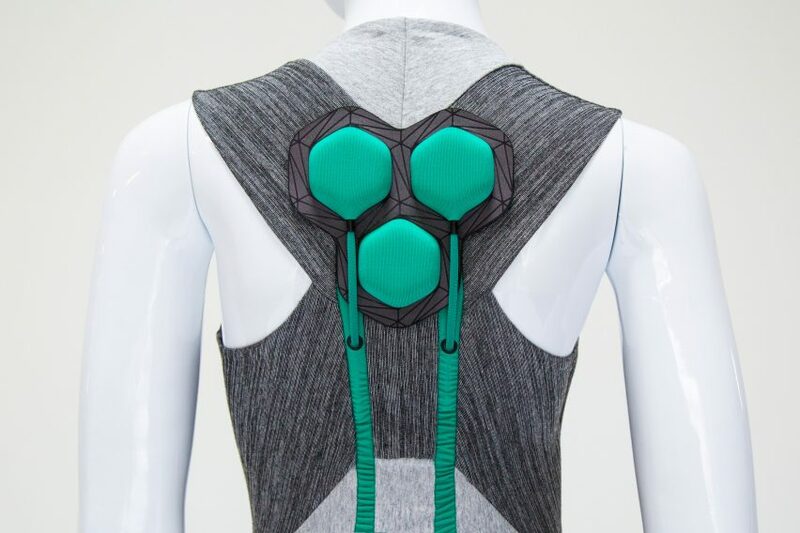 These responsive garments by Yves Béhar’s studio Fuseproject feature “electric muscles” that assist elderly wearers to walk, stand up and climb stairs. 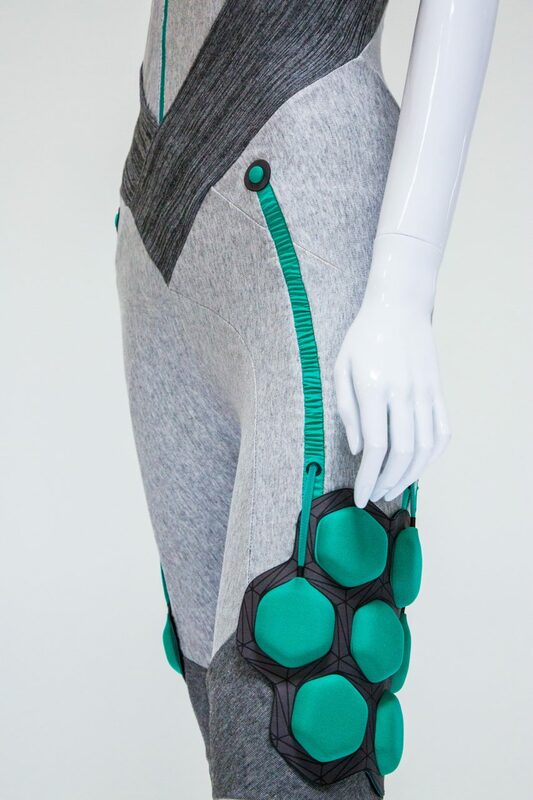 The Aura Powered Clothing collection was designed in collaboration with robotics company Superflex. It was unveiled yesterday at the New Old exhibition at London’s Design Museum, which explores how designers can enhance people’s day-to-day experiences in later life. 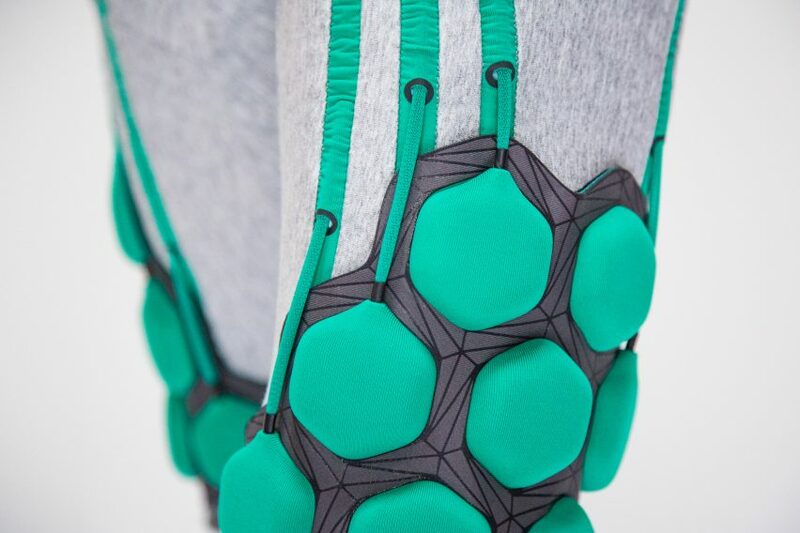 The clothing, which is made from a lightweight and flexible fabric, aims to provide the ageing population with a higher level of strength through a series of motors housed in hexagonal pods. The pods – or “electric muscles” – are located on the torso, hips, legs and back, and embedded with sensors. Each uses artificial intelligence to react to the body’s natural movements, and add muscle power to aid the wearer in getting up, sitting down or staying upright. “When we talk about designing for an ageing population, the standard approach has been to provide aid in the home – completing tasks, welfare modules, accommodating a lack of mobility, which results in a life lived more statically,” said Béhar, whose San Francisco-based studio is also presenting a robot companion at the exhibition. 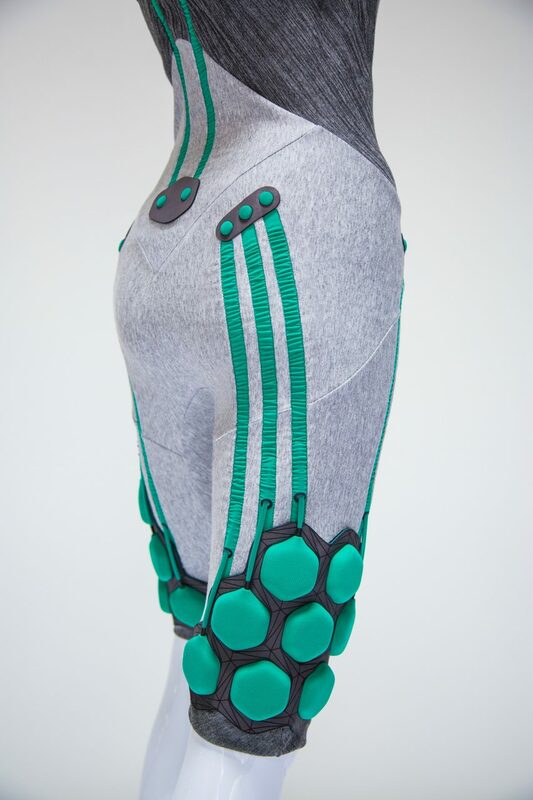 The pods and sensors are anatomically aligned with the wearer’s muscular composition. A V-shaped band within the soft fabric sections tightens around certain points of the body to offer lumbar support. When choosing the colour and materials, the studios wanted to avoid a clinical look and “sickroom aesthetic”. “The design and style framework we are building stands apart from the typical aesthetic for the ageing market marked by a clinical and sickroom aesthetic,” the team said. While the first prototype is currently on show at the Design Museum, Fuseproject and Superflex are continuing to develop this concept – and envisage it eventually being used by individuals with disabilities and athletes. Aura Power Clothing is one of six projects commissioned by the Design Museum for the New Old exhibition. Along with Fuseproject’s robot companion, a scooter by PriestmanGoode that encourages elderly people to stay active for longer is also on display.